For 13 years working with executives, we assessed what works and what does not. What are the issues that impede implementation of a strategy? These "How to's" are common sense; 800 experienced managers assessment of what gets the job done effectively — best practice. When you ask successful strategic planners what was the hardest part, they overwhelming talk about how difficult it is to get people engaged. Strategy formulation is a leadership skill and the team brings three perspectives to the discussions: position, adapt and align the organization for the future. 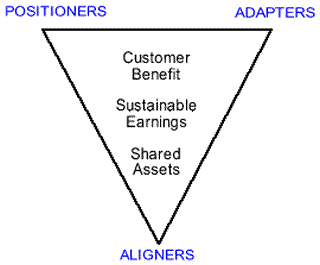 As a strategic planning facilitator, to get the team to engage, I get them to focus on the customer benefit, sustainable earnings and sharing assets. 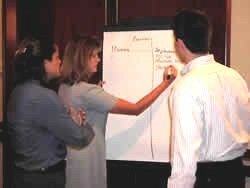 The core facilitation technique is to have the team work together for their mutual benefit. Other research on best practice.